Rhinoplasty is a surgical procedure designed to reshape the underlying structures of the nose to improve its overall appearance. As one of the most commonly requested surgical procedures in the U.S., rhinoplasty can alter various characteristics of the nose to enhance the aesthetic balance of facial features and even improve breathing by straightening a deviated septum. 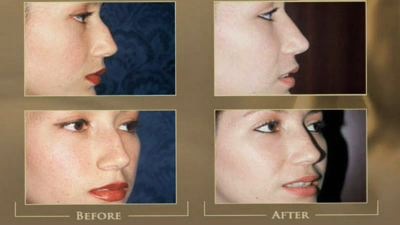 Rhinoplasty can accomplish delicate refinements to the shape of the nose or a dramatic change, depending on the surgical goals of the patient. With the patient’s desired outcome in mind, our plastic surgeon customizes each rhinoplasty to best suit the individual’s specific needs and goals. Using only the most innovative surgical techniques and his discerning artistic eye, he carefully adjusts the nose to a more complementary size and shape. After post-surgical puffiness subsides, the new shape of the nose is truly revealed. Many of our rhinoplasty patients are pleased to find that their nose results in a more refined and balanced profile that enhances the overall appearance of their facial features. Please contact us for more information about rhinoplasty at The Plastic Surgery Center of Austin, or to schedule a consultation with one of our plastic surgeons.